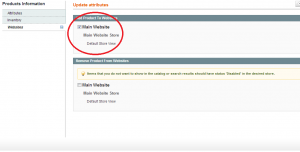 If your magento search is not working by displaying no results, the soltion is right bellow. 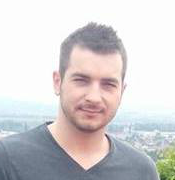 Let’s assume that you already checked for product quantity,visibility,price,availability and all seems to be good. You probably upgraded your magento store or you have imported some products. If yes, go to System->Configuration->Catalog and check that in Catalog Search the Search Type field is like. That means that your product will be displayed if the searched keyword is anywhere in your product name. example: keyword “can” and your product name is “Cannon lens”. If that didn’t solved your problem go to System->Cache Management and clear your cache, or disable it. Let’s say that your problem persists. Go to System->Index Management and reindex Catalog Search Index and all indexes that require indexing. Check to see if the search works, if still not working there is one last thing that you can do to until you need proffesionall help. 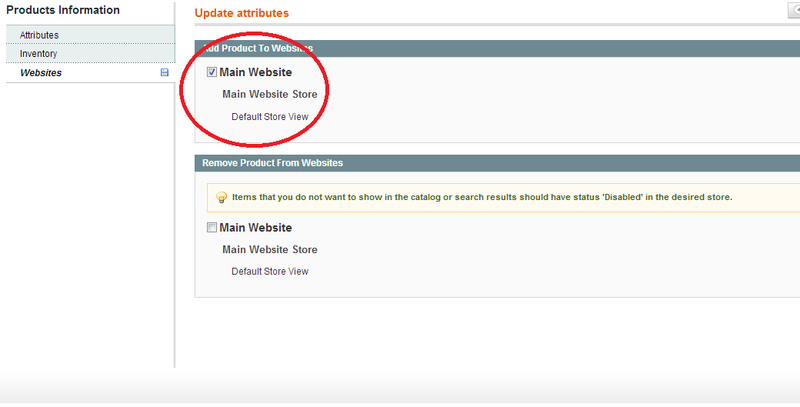 Go to Catalog->Manage Products and select visible products. Choose the Update Attributes action form the right panel and click Submit button. Click on the Websites tab from the left and check the Main Website. Now you you must see your products that have their attributes updated into your search results. Note: If you have large amount of products ( 6000, for example) and you select all products you may still have the search problem (your products will not be assigned to your website). Try to select max 100 each time. It now it may be frustrating but somehow Magento can't handle a very large request.